Anger is part of being human. It is a natural response to an attack, an insult, a deceit or frustration. 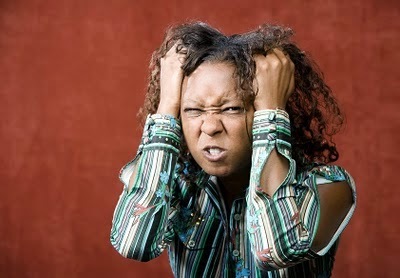 Sometimes, excessive anger can also be a symptom of some mental health problems. 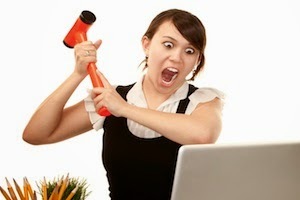 However, some women’s anger is just beyond the mentioned examples. A woman was searching for her purse in the market. Her firstborn, a 13 year old girl, was assisting her in the shop. She got tired of cursing the ‘thief’, complaining about the missing wallet and turned to her daughter to ask her again. They girl said she didn’t take it. She asked the girl if she saw anyone taking it, in an angry tone. The girl, knowing how her mother behaves when she is angry, said she did not and started sobbing, swearing that she did not take it. As she continued to sob, the woman slapped her and told her to stop shedding crocodile tears. Before the girl could say another word, her mother started beating her for lying about the purse and her money. As the beating continued, the girl started bleeding from the nose. Her fellow market women gathered to stop her. She held the girl’s dress at the neck and almost squeezed her neck, asking for her money. It was in the midst of the commotion the purse was found with another market woman’s baby boy that just started walking. Another potential example is the case of Mr Charles. I and Hannah have been married for over three years now. Hannah gets angry at almost every mistake or negative action i take. Being yoruba, she gets very abusive and tirades when she is in that state. Once, I was out with friends and arrived home by past 11 pm. I packed the car in the compound and walked into the house. As i entered the parlor, it was dark, i turned on the lights to see Hannah sitting on a couch furious. Shocking but not new, before i could explain, she threw a small pillow on the couch at me and started hitting me. As she was hitting me, she was asking me where i was coming from. I tried to stop her and beg her but she wouldn’t even let me talk. She started calling me all sorts of names. My wife is a destroyer. When she gets angry, she breaks things in the house and whatever her hands can carry, she will throw it at me. The serious thing about this matter is that most women begin to beg after the damage has been done. They begin to show self judgment and feel small, stupid, and guilty. Thank God for kind husbands and good men. Anyways, na love… abi? 4. Negative thoughts about other people due to a past experience. Most women are angry with life and men because they were abused and the abusers went scot free. 7. The anguish of false accusations. A woman could hate you and attempt to hurt you for life because she is accused of what she didn’t do. 1. If You Starve An Angry Woman, She Will Calm Down And Come To Her Senses. Women are not children. If you starve her, she will either poison you later or bring up the issue back. 2. If A Woman Is Angry, Get Angry Too And Beat Her Very Well. If you touch your wife, you will destroy your marriage, lose respect and she might stab you in a fight. After how many years of marriage. Did anyone marry her for you? Will that cure her quick aggression and anger? No. Okay, you want to double the wahala abi? 6. Take her to a bar to get drunk. Really? you are not helping her at all. 1. Try as much as possible to prevent the anger in the first place. When the causes and effects is all calm or quiet, you could talk about what caused it in the first place. The first step to anger management is preventing it in the first place and forgiving the causer. 1. Men. Go with her for counselling. It could be a pastor or doctor’s place. Anywhere you strongly believe is genuine that she will be healed. 2. Awareness and a good sense of understanding to pinpoint the reason for the anger and calm down. Also, it will be great if the woman SHUTS UP at that point of anger and understand that everyone gets angry. We choose whether to control it or not. 4. Listen to positive people and read positive books. turn down the news and listen to funny talks and interactions on radio. Watch a comedy video or movie and hangout with friends who gist and talk about other interesting and funny things or events, apart from people and their problems. 7. fast and pray about it. This might seem too religious but it’s another ultimate way to kill chronic anger.